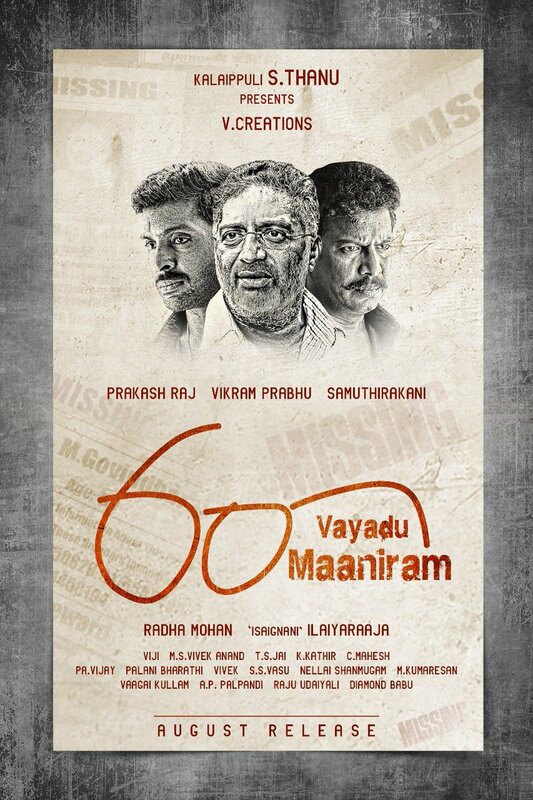 Director Radha Mohan who is busy with his post-production work of Jyothika’s Kaatrin Mozhi is getting ready for his pending movie 60 Vayadu Maaniram’s theatrical release. This film is produced by V Creations Kalaipuli.S Thanu and it stars Vikram Prabhu, Prakash Raj, Samuthirakani and Indhuja in lead roles. Music is scored by Isaignani ilayaraja. The movie is slated to release this month. Check out the official trailer here.